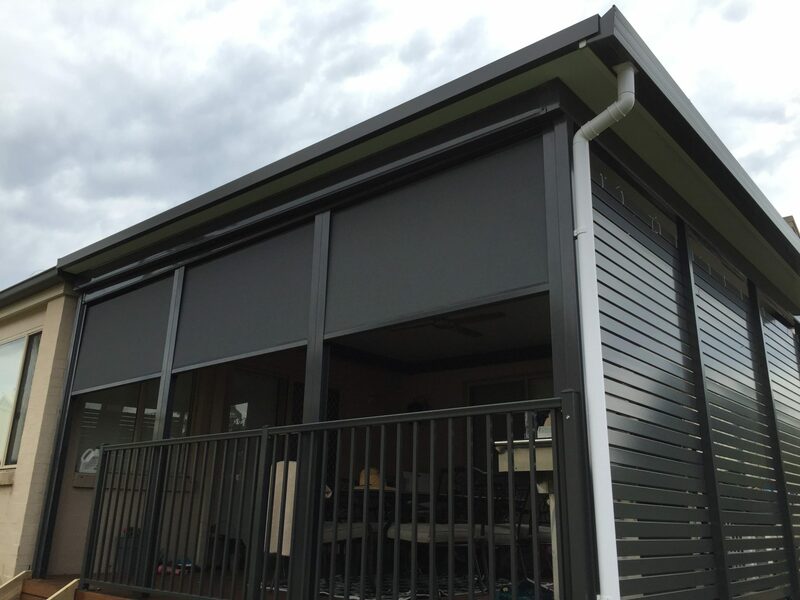 Outdoor blinds are becoming more and more popular thanks to the large range of outdoor blind setups available, as well as the versatility on offer in comparison to fixed privacy screens. With various outdoor blind transparency and colour options, there is always something to suit your tastes and needs. 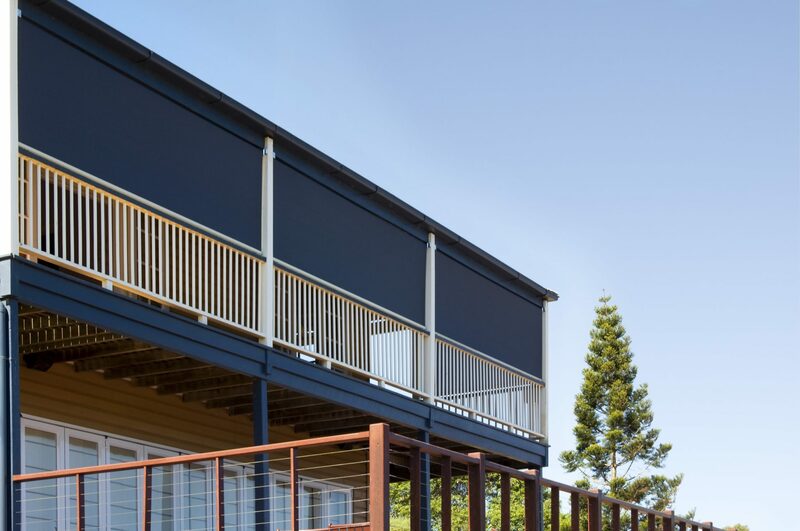 Outdoor blinds looks great above a balustrade and offer the ability to cut off that harsh afternoon sun. Electric blinds are extremely convenient and come fully remote controlled. 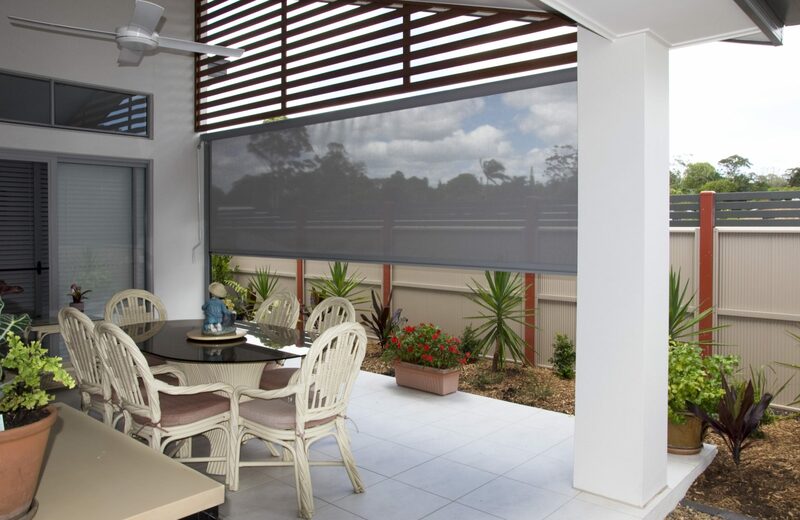 Our outdoor electric blinds are capable of large spans to minimize the need for posts which intrude on your space. 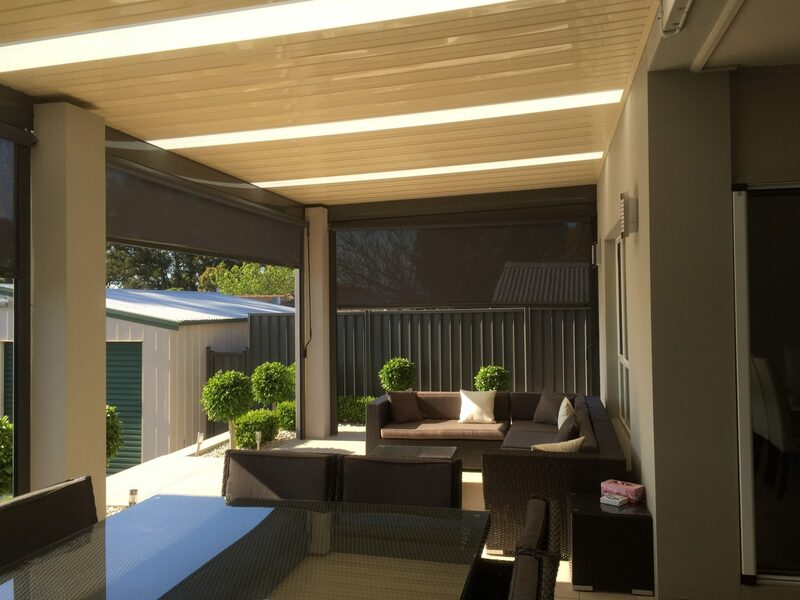 Fully enclosing your pergola with outdoor blinds allows you to close off your entertaining area at night or in the winter to stay warm with the help of outdoor heaters. It is also good for keeping out mosquitos in the summer while you also have the option to open up your outdoor blinds for air flow. 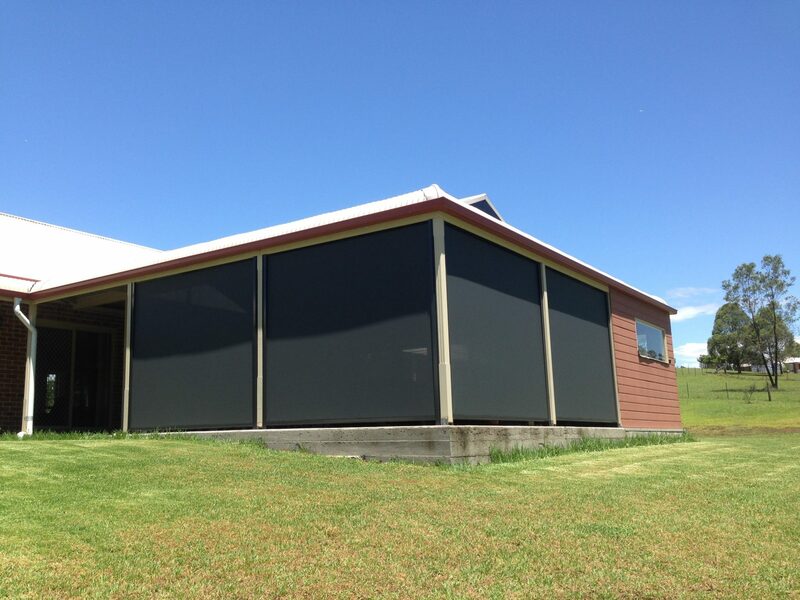 Outdoor blinds also look great in conjunction with fixed privacy screens. Often, our clients will install blinds where the harsh westerly sun sets and leave other areas open. We have a large range of colours available to cater to all styles of pergolas and outdoor areas. If you would prefer a manually operated blind, we have a great crank gear box option available, as well as straight drop blinds.